If you’re new to couponing and saving money with coupons, you’ve probably wondered about this question a few times. In any given week, you may have to spend over a hundred dollars or more just for needed items like food and household goods. That’s why we composed this guide on how to find free coupons using some of the top coupon sites, apps and other resources so that you can save tons of money on items you were already going to buy! Coupon inserts in Sunday newspapers aren’t the only way to find money saving coupons anymore. Below we will cover the various ways to find coupons as well as places you don’t commonly hear about. We also have a list of all the known companies that give printable manufacturer coupons or mail coupons to your home organized by different topics such as groceries, baby supplies, and so on. Let’s start with the basic places you can check, both online and offline. Yes, there are shopping browser extensions that find & apply coupons and promo codes automatically at the checkout for you. This is a unique type of couponing tool that many people don’t know about. 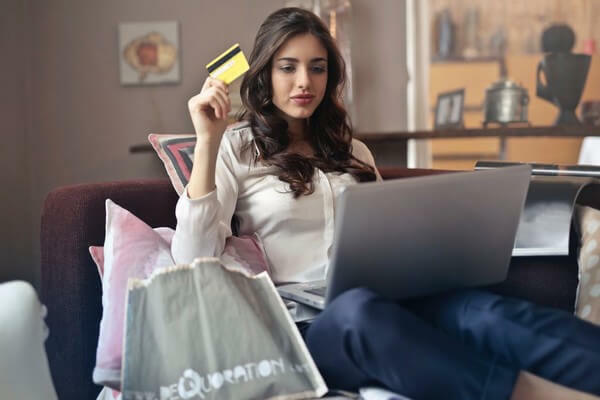 Basically, while you shop online when you go to check out these extensions can automatically search the web and apply promo codes to your order until it finds the best one that works. If you don’t want to deal with the hassle of searching for and clipping coupons, but don’t want to miss out on potential savings, automatic coupon browser extensions are your best option. Here are some of the top extensions that do this. Honey is a free browser extension that automatically finds and applies coupon codes at checkout for over 30,000 shopping sites. 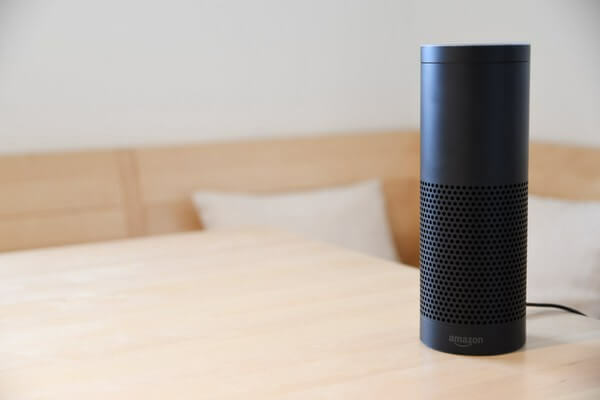 It can also find the best price for someone for a product on Amazon and is one of the few couponing tools that actually works on Amazon prices. Ebates can get you cashback and promo codes from over 2,500 stores online. All you have to do is install it and then the next time you shop online, you can instantly start saving money. Also, Ebates can tell you if something you are interested in is offered on another store for a cheaper price. This is another service that automatically applies promo codes to your check out so you can save big money on your purchases. Users in total have saved over $10,000,000 so far from using this extension. This might be an option you haven’t had before. Facebook groups are a community of users who create curated content for each other within the group. What this means is that everyone within the group can work together to compile and test out different coupons. This is a fun group for members to share coupons and deals for various stores. They also welcome members who are new to couponing and are more than willing to help people learn how to do it. In this group, every day is like Christmas considering how many awesome deals and coupons you can find! Members of this group are dedicated to paying as little as possible for their grocery shopping trips. Get tips and coupons when you join. This group welcomes both coupon experts and beginners. If you want to get into extreme couponing, then this is the group for you. Find tons of tips, people to talk to, and deals here. This group focuses only on CVS. That being said, you can still find hundreds of deals every day on things like medicine, home goods, cleaning supplies, and more. This is another group for beginners, where you can learn the complete basics of saving a lot on your shopping trips. Come here to find a deal, share a deal, share your latest haul, or just share tips for saving more money when you are out shopping! This is a somewhat specific group because it focuses only on one store. However, you can still find deals on detergent, toothpaste, good, and even over the counter medicines. Before going out for your weekly shopping trip, you might not think to check the websites of the stores you are visiting. However, many stores provide their most current and up to date coupons right on their sites. If you have a Target near you, check out these deals you can get on various items like food, clothing, furniture, and more. The best promo codes, sales, and deals you can use at Walmart to buy clothing, food, beauty and health products, and much more. Check out your weekly Walgreens ad or browse their online deals. If you have a Kroger near you, check out these deals you can get on various frozen goods, dry food, produce, and more. Don’t pay full price for beauty products, jewelry, and clothing at JC Penny when you can use these coupons instead. Don’t pay full price for clothing and beauty products at Macy’s when you can use these coupons instead. If you need appliances, you should check Sears for coupons just to take some money off those hefty price tags. If you have a Kmart near you, check out these deals you can get on items in the store and on the website. Get tons of tools and storage devices here. All you need to do here is click the coupon you want and print it out. There are over ninety coupons available on the Dollar General site right now! Save on items like Charmin, Febreze, Reeses, and more. Get some amazing deals on clothing, electronics, luggage, and more at this site. The best promo codes, sales, and deals you can use at Kohls to buy men’s clothing, women’s clothing, and more. Looking for a coupon of something specific? These sites will let you search by name or category to find coupons for whatever you need. Be sure to check them regularly, as there are often new deals uploaded every week! This site mostly has food coupons, but you can also find beauty and health products on there. All you have to do is select the coupons you want, click the red “Print Coupons” button, and then you are set! This site tells you the available savings you can get through all their coupons at any given time. You can look at deals by category or all together. When you find what you want, simply print and you are ready to go! This site is full of manufacturing coupons that are normally only found at grocery stores in the coupon dispensers in aisles. Coupons are added almost every single day, so check back regularly for more deals! If you don’t want to try finding out which coupons work for places around you, Valpak will do it for you! Just put in your zip code and it will find all the coupons available in your area. These are coupons that are eligible for every brand under the Proctor & Gamble label. You can adjust the location it searches to find coupon offers near you. This popular site has been used by millions of people to get lots of savings on everyday items. You can find coupons for almost every store. You can search for brands, designers, and stores. They can also get you travel deals and online promo codes. This site is used exclusively for grocery coupons. They have exclusive coupons but also search the web for other ones that you can use. There are literally thousands of stores and restaurants that participate with this site. They have dozens of categories to choose from, but you could also just check out the newest ones they add every day. Get coupons for electronics, clothing, food, home goods, and even construction materials. They have tons of promo codes for online sites as well. Almost everyone has seen the Box Tops logo on the food they’ve bought. Every company that participates in the program offers coupons for their items. So, not only can you get your items at a discount, but you also can collect more box tops! There have been over 6 billion coupons saved on this site in the years it has been active. You can find digital coupons and printable coupons. If you have an account, it will also tell you which deals you have saved in the past. This is an instant coupon finder for any store you want. You can search for coupons for specific stores, cash back offers, weekly adds, Rx Medication deals, and more. This website is all about getting deals for tech and electronics. You can find all kinds of deals on big-ticket items such as Dell laptops, computer CPUs, and more. They also have deals on non-electronic items you can check out. Get coupons, deals, promo codes, and cash back offers on this site. Thousands of stores and brands available on eBates, so you are sure to find whatever you are looking for on here. They also have a free app you can find on iOS and Google Play. This is a great coupon site to find coupons for all kinds of stuff, especially groceries and household items. It is especially great for finding local deals. And that’s not all they do. They even share money saving tips and great recipes. Below we have collected over hundreds of company’s coupon sites so that you don’t have too. If you’ve been trying to get your hand on some main brand products, this is your perfect opportunity! One tip we have before you get started: make a separate email address to use when signing up for any newsletters or coupon opportunities. Not only does this keep promotional emails from spamming your main email address, but it also makes it easier to find your coupons all in one spot instead of having to sift through all your other emails just to find them. These are the food and beverage companies we found that give out printable coupons on their websites. The type of offers change often, so if you don’t find a coupon now, don’t stress. Just check back a few days later and you might find a new coupon available! Goya sells beans, coconut milk, and ethnic food. When you sign up for their newsletter, they will email you recipes, coupons, and other promotions. This company is focused on selling healthy foods that can promote good nutrition without taking too long to prepare. Any coupons will be updated on the site. You can also sign up for emails to be updated when deals are offered. If it wasn’t obvious, these guys sell dairy products! Here, you’ll find coupons on things such as sour cream, cottage cheese, and cream cheese. This company sells canned food and more. You can find coupons for things such as canned beef stew, bacon topping, and canned chili. Come get some delicious juice! It’s all 100% organic and healthy for both kids and adults to drink. Almost everyone loves at least one type of Kellogg’s cereal. Get coupons on cereals such as Special K, Frosted Flakes, Raisin Bran, and Rice Krispies. You can also get coupons for other brands under the Kellogg’s label. Get exclusive coupons for all Land o’ Lake products when you sign up for an account on their site. You’ll also get a newsletter with new deals and access to the Land o’ Lakes recipe collection. Get delicious cranberry juice deals when you sign up for Ocean Spray’s Cranberry Club Newsletter. This is a company for 100% organic dairy products. Sign up for their newsletter to get recipes, coupons, and more. Ortega sells Southwestern food such as taco shells, taco sauce, seasoning, canned beans and more. When you scroll to the bottom of their website, you’ll find coupons for the latest products. This company owns numerous beverages and dairy products. Get deals on cottage cheese, ice cream, eggnog, yogurt, and much more. They also offer coupons on their seasonal stuff, so be sure to check this site around the holidays! Get organic spices without paying the hiked-up prices that are normally on organic goods. Some of the coupons on here take off as much as $2! This company sells sugar substitutes for people who need to have sugar free stuff in their diet. You can find coupons on there for up to $1.25 off products such as coffee creamer and sweeteners. The only thing better than delicious chicken and other frozen food products is saving money on them! They update this section of their site whenever they add coupons, so check back often. This company makes vegetable and fruit juice smoothies that are both healthy and delicious. When you sign up for Weltch’s newsletter, you’ll get news, recipes, and promotional offers emailed to you for their juices and jelly products. If you sign up for this company’s newsletter, they will email you juice coupons whenever they become available! They make 100% organic juices that are great as snacks for kids. This company sells granola and other snack-type products. If you want to receive coupon updates from them, you can also apply for the email newsletter. This site also includes Bisquick, Green Giant, and Hamburger Helper because they are all owned by the same company. You can choose to either print the coupons here or have them emailed to you. These are non-GMO dairy products, mostly yogurt. If you sign up for their newsletter, they will email you coupons whenever they become available. If you hadn’t guessed it, Coffee-Mate sells coffee creamer. When you sign up for their emailed newsletter, you’ll get any coupon deals that come out. Additionally, you’ll get a $1-off coupon just for signing up! This is a company that produces nutritional drinks. When you sign up for their email newsletter, you’ll receive coupons whenever they come out. In addition, you also get an instant $3.00 coupon as soon as you sign up. This is great for coffee lovers who want to save money on coffee and perhaps even get free coffee. Folger’s will send you coupons, offers, recipes, and more via email regularly. All you have to do sign up for their newsletter. There are a lot of products out there that are a necessity to the household. Here are all the companies that give out coupons for their household goods products. Need a refill of toothpaste and other oral care products? When you sign up for the Colgate newsletter, they will send you $4.50 in coupons right away. After that, you’ll get coupons and offers whenever they come out. Get over $20 in coupons for all Cottonelle toilet paper products. All you have to do is register for an account and you’ll get your coupons immediately. Save on laundry detergent products with these Dryel coupons. All their latest coupons and offers are updated on this website regularly. Get coupons for Hefty products such as paper plates, cups, and trash bags. The site updates with different coupons every now and then, so check back in a few months to find other deals. This has coupons for every product owned by Johnson and Johnson. Get deals on things like Ziploc, Scrubbing Bubbles cleaner, Glade, Windex and more. One thing that always seems to run out too quickly is tissues. Get over $20 in coupons for Kleenex products. In addition, they also have special deals for their products on Amazon. You’ll find dozens of coupons on this site for these products. Check back often for new deals that may be added. Save on aluminum foil, parchment paper, plastic wrap and more from the Renolds brand. They have over $5 off coupon savings available on their site, with more coupons being added every so often. Every so often, Rubbermaid will add coupons for their various products. If you need to buy some food storage containers or other products like that, check this site for coupons first! Save on paper towels and other paper products when you sign up for the Scott Brand newsletter. Get coupons for Swiffer products and floor cleaning supplies with these coupons. This company sells stain removers, laundry detergent, baking soda, and more. When you sign up for the Arm & Hammer newsletter, they will send you coupons and more for their products. Here are the beauty and personal care companies we’ve found that offer coupons on their websites. Save money on Depend underwear and liner with these coupons. Check back with the website often to find new coupons and deals. Get body and hygiene care product coupons when you sign up for the Dove newsletter. They will email you with their latest offers and coupons as they come out. Visit this site to get a $2 off coupon of one Cetaphil product. If you follow their Facebook page, you’ll also find deals and coupons for their products. This company sells lotion and body care products. When you sign up for their newsletter, they will send you coupons and promotional offers. This company makes mouthwash and other oral hygiene products. You can save about $4 on their products with the coupons they currently have on their site. Find offers and samples of hair care products, makeup, and skin care products here. Get hand and body lotions for cheap with these awesome Lubriderm coupons. Also, if you like them on Facebook you’ll find even more exclusive coupon offers. Get coupons for both in store and online Olay products. You can find all kinds of great skin care and face care products to choose from. Get tampons and feminine care products with these awesome Playtex coupons. Check back on the site often for any deal they might add. Need teardrops or other eye care products? Check out these Systane coupons you get when you sign up for their newsletter. Get your eye care products cheaper with Visine coupons. Visit the site often to get more coupons, as there are new deals that are uploaded every now and then. Get coupons for pads, liners, and other feminine care product. You can also follow them on Facebook for other promotions and updates. Everyone knows that when it comes to medicine, those bills can really add up. Here are some coupons for over the counter medicine to make it more affordable. If you are looking for coupons for prescription medicine, check NeedyMeds. Save $10 on various Advil products, including regular pills, liquid gels, and migraine relief. Save $7 on Aleve products. This includes back and muscle pain medicine, night pain medicine, and sinus and cold medicine. Get one dollar off any Alka-Seltzer product, including heartburn relief gummies and chews. Save on Benadryl products! You can get $3 off various products such as children’s Benadryl, allergy medicine, and itch stopping cream. Don’t stress about work out pains anymore. Get coupons on pain relieving patches, cold therapy patches, scent removing matches, and ultra-strength pain relief cream. Not only can you get allergy medicine coupons on this site, but if you sign up for an account, you can get $12 in coupons for extra savings. No need to worry about seasonal allergies again! Is a kid in your family sick with a cold or flu? This medicine can help. Get $1.50 off any of the dozen available children’s cold and flu medicine options. Get relief from headache pains with Excedrin. Check on this site regularly for any offers they add to the coupon section of their site. You don’t have to worry about lactose intolerance Lactaid products. Get coupons on fast-acting Lactaid dietary supplements and 100% lactose-free milk. This company sells medicine meant for small children, toddlers, and babies. Sign up for the Little Remedies newsletter to get exclusive coupons and promotional offers. This company sells allergy relief medicine. Sign up for their newsletter to get a $4 off coupon immediately. Additionally, you’ll get emailed coupons and other deals every now and then. If you deal with nasal allergies, this medicine can help relieve symptoms and prevent it from continuing. Check back on the site every now and then to find more coupons. Keep cramps away with Midol. Visit their site to get a $1 off coupon. Keep coming back to find other deals added. Get a coupon for Neosporin first aid antibiotic ointment. It would be a good idea to visit back every now and then just in case other deals are put on the site. This is medicine meant for kids suffering from colds, cases of flu, runny noses, cough, and gas issues. Get $1 off any medicine of your choice. Get an automatic $1 off coupon just for signing up for the Robitussin newsletter. After that, you’ll receive coupons every now and then in their emails. Get coupons for cough and cold medicine created by Sudafed. Get $1 off Theraflu Cold and Flu products. Also, get $2 off any Theraflu Powerpod product. Get a coupon for any Triaminic medicine, a cold and flu medicine company made for children. Save $3 on Tylenol products when you sign up for their newsletter. Additionally, you’ll get any coupons they send out in their newsletter in the future. Get $4 off on Zantac 150mg Heartburn relief pills. You can also get $4 off Zantac 75mg antacids. Check back often for new offers by the company. This company sells allergy tablets for both adults and kids. When you sign up for the newsletter, you’ll get two coupons immediately as well as any future coupon they give out through the newsletter. Save $2 on these Alaway eye drops. They relieve eye itching for 12 hours and only take a few minutes to go into effect. Before spending a boatload on vitamins, check out these coupons which can help you get a much better deal. Nothing’s better than saving money and staying healthy at the same time! Sign up for the Centrum newsletter to get $2 off their multivitamins and get more coupons emailed to you in the future. Save $1 off any Flintstones multivitamin product. Get $1 off any One a Day multivitamin product. Also, get $2 off any One a Day Prenatal multivitamin product. Get $1 off just for signing up for their newsletter. You’ll also get sent coupons, health tips, and more every now and then in their newsletter. Taking care of pets can be expensive, but hopefully, these coupons will help out! Here are coupons for all the best pet care brands. Check this site out every so often to get some great deals of premium dog food. Get deals on this popular brand of kitty litter. When you join their newsletter, you’ll get emailed additional coupons every now and then. Check out this site for special coupons, sweepstakes, and more on Fresh Step kitty litter. Join the Jonny Cat newsletter to get tips, fun stories about cats, and coupons for cat care products. They also occasionally host special sweepstakes and contests to get free cat products. Sign up for the Club Natural Balance newsletter to get sent coupons for dog food and cat food. This company makes fun and delicious dog treats. When you join Mother Hubbard’s Cupboard Club, you will get sent awesome coupons for dog care products made by the brand. This company makes high quality dry and wet dog food. They also make dog treats. Occasionally, they have special coupons you can find on their site. If you don’t see any now, check back in a week or so and there will probably be a new offer up. Sign up for the Pup-Peroni Pack newsletter and you’ll receive specialized newsletters catered to your needs. These newsletters have coupons, promotional content, and more. Here, you will find coupons for all Purina products whenever offers are available. You can also sign up for their newsletter to get sent special offers and be notified when coupons are available. Get coupons for Science Diet dog and cat food here. You can also get Healthy Advantage, Prescription Diet, and Ideal Balance foods from here as well. This company sells various types of wet and dry cat food. Sign up for their newsletter to be occasionally emailed coupons for their products. If you have a baby or expecting one, then these coupon offers will help you out! Negate the stress of expensive baby care supplies with these numerous coupons for formula, baby food, diapers, and more. Some of these are sites that give free baby samples occasionally as well. Join Enfamil’s free Savings Club to get $400 worth of items and Enfamil coupons simply just for signing up. and expert advice emailed to you every month! Plus, when you join you get a chance to win free formula for a whole year. Answer a few questions from Gerber’s savings club to get exclusive coupons tailored for exactly what you and your child need, along with many other benefits. Get coupons for Happy Baby Organics baby food when you sign up for their newsletter. You can also receive recipes and other promotional offers. Get coupons for money off a package of diapers. They also are doing a Luvs sweepstakes for a year’s worth supply of diapers for free. When you sign up for their newsletter, they will send you additional offers as soon as they become available. This company has three ways to get coupons and other free stuff. First, if you download the Pampers app (iOS, Google Play) and scan your Pampers purchases, you’ll get points back. Second, if you visit the site you can find downloadable coupons for money off various Pampers products. Lastly, if you sign up for their newsletter, they will send you coupons immediately and also additional deals as they come out. If you follow Plum Organics on Instagram and Facebook, you’ll find they occasionally post coupons to their social media pages. They also host giveaways for awesome products that can help you out while taking care of a baby. The Similac savings program offers personalized gifts and benefits customized for your specific needs based on a series of questions you answer when you sign up. Plus, you’ll enjoy up to $400 in samples and coupons. Check back on the site often to find coupons and other deals for these products. There are a lot of blogs out there that focus on helping their readers save money by sharing tips, deals, discounts and of course coupons. So keeping an eye on these sites is a smart way to find online coupons as well as in-store coupons and promo codes before they expire. If you’ve been couponing for a while, you know The Krazy Coupon Lady. Their website has been around for a while. It is actually one of my favorite money saving websites. In fact, I wrote a review of The Krazy Coupon Lady in which I shared some of the best reasons why you should visit the site often. They share coupons almost every day. This is another great blog where the owner, Jenny finds and shares all kinds of coupons. The Aggregate coupons from some of the top coupon sites like Living Social. They share coupons for food, groceries, drinks, clothes, tech and much more. If you don’t get a daily, or at least weekly, newspaper delivered, you might want to look into it! Often times, newspapers will have ad inserts full of coupons for local stores and restaurants. However, it is best that you also check your local paper as well, as those deals are curated to stores in your area. You can find a list of all the free newspapers in your area on this Wikipedia page. If getting a newspaper isn’t possible for you, you can still find many of the same coupon inserts at the fronts of the stores you shop at. This is a little more inconvenient because you must actually stop at the store to get the coupons. If you are like most people online, you probably do a lot of your online shopping at Amazon. Here is a tool that can help you save money on the site. This extension helps you make better decisions when you are shopping on Amazon. 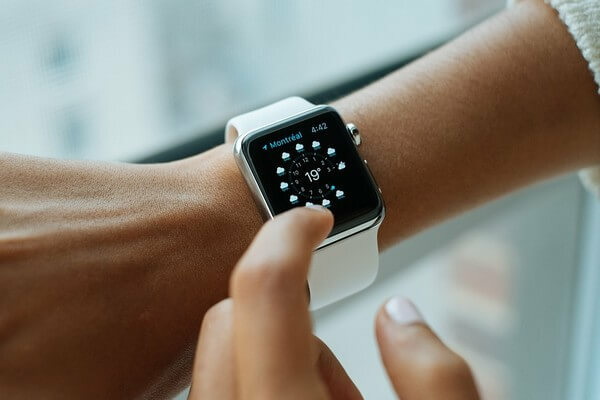 You can get order updates for whatever you buy, product comparisons for whatever you want, automatic access to your wish lists, and deal notifications for whatever items you are currently interested in. 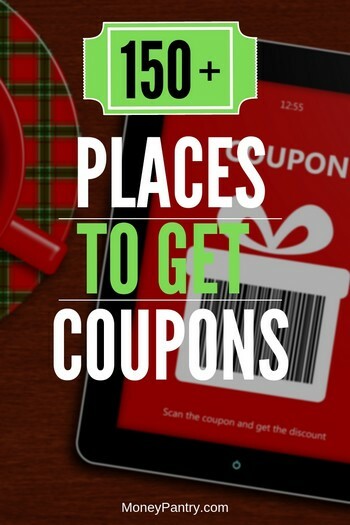 With so many great couponing apps out there, it’s just crazy not to have a few on your phone so you can save money even when you’re at the store and have forgotten to bring your clipped coupon with you. These apps work similarly and are very easy to use. Basically, you search for coupon or product and show it at the checkout. You can also use them for online shopping. Now that you know how to find coupons, the next step is to get out there and start saving money. Are there any places you like to get your coupons at? Do you have a shopping trip story about saving a ton of money? Let us and our readers know about your experiences!